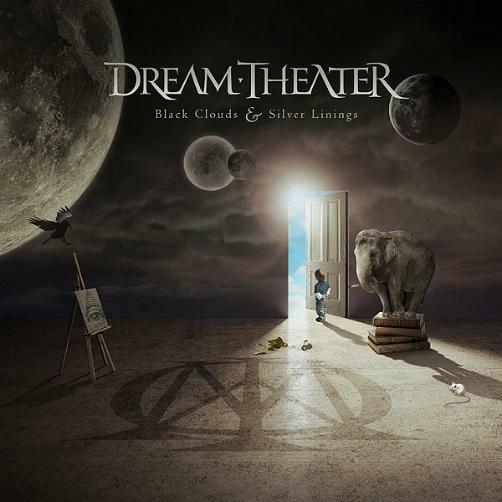 Following the lacklustre run ‘Systematic Chaos’ and ‘Octavarium’, Dream Theater hit back and once more found their stride with 2009’s ‘Black Clouds and Silver Linings’, debatably their best album since ‘Train of Thought’ was released in 2003. With ‘Black Clouds…’ Dream Theater managed to discover their lost mojo, a fact instantly recognisable from the start with the progressive metal masters ploughing through various different musical tour de forces, incorporating a number of elements from downtuned guitars, ever changing time signatures, squealing pinch harmonics and mind bending musicianship, all courtesy of string virtuosos John Petrucci and John Myung; Keyboard wizard and the man who can match Petrucci note for note Jordan Rudess and the grand master of the drums Mike Portnoy. 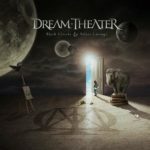 With ‘Black Clouds…’ Dream Theater manage to effortlessly slide between a modern and a retro sound, this is a huge boost the album and manages to make it accessible to both fans of a modern progressive sound and those that prefer the classic sound which originally hooked them into progressive music. For example, the opening track ‘A Nightmare to Remember’ begins with all the hallmarks of a Foreigner hit through the accessibility of an arpeggiating keyboard pattern, before incorporating lyrical elements from Rush’s 1981 masterpiece ‘Moving Pictures’. The Rush worship does not stop here, ‘The Best of Times’ feels like the successor to ‘Red Barchetta’, whilst the closing track on the album ‘The Count of Tuscany’ heavily alludes to classic era Rush with an outro which containing overtones of ‘La Villa Strangiato’ and ‘Xanadu’, enough tomake any Rush fan quiver with excitement. Due to this, ‘The Count of Tuscany’ is not only one of the best songs on ‘Black Clouds…’ but is also up there with some of Dream Theater’s best work. The major downside to ‘Black Clouds…’ is the unfortunate inclusion of groove metal style vocals that drop in and out throughout the album. This just doesn’t work with ‘Black Clouds…’ on one hand it is Dream Theater attempting to entice a modern audience, whilst on the other hand, it just does not work and would remain better without. 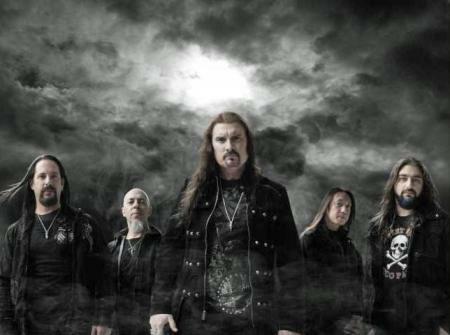 However, James LaBrie does show that he still has an amazing voice and this stands out on none other than on the beautiful ballad ‘Wither’ and the single ‘A Rite of Passage’. With ‘Black Clouds…’ the cup truly runneth over for Dream Theater and although the bass riff for ‘A Rite of Passage’ borrows heavily from ‘No More Tears’ by Ozzy Osbourne, it suddenly takes on a life of its own with the ‘Master of Puppets’ era style guitar playing making the song hugely accessible to both fans of Dream Theater and those still discovering the band.